Cliff Lee is human after all. Heading into yesterday’s World Series opener, Lee had compiled a 7-0 record with a 1.26 ERA, the third lowest postseason rate among starters with at least 50 innings (Sandy Koufax: 0.95 and Christie Mathewson: 0.97). Lee’s performance over the last two Octobers was so dominant that he even started to warrant serious consideration as one the best postseason pitchers of all-time. After watching him completely shutdown the potent Yankees’ lineup in game 3 of the ALCS, it would be hard for me to argue otherwise. 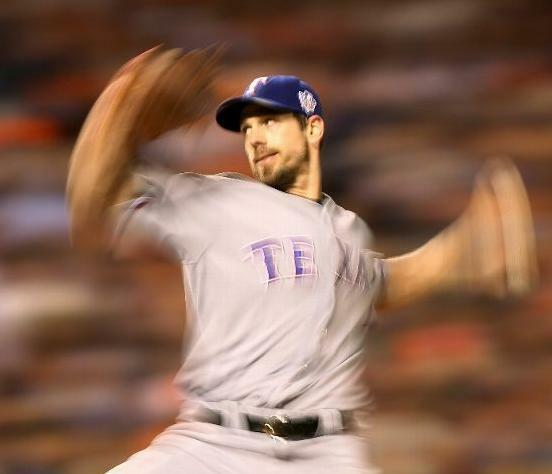 Cliff Lee’s Game 1 start seemed out of focus, but the Rangers’ lefty is not the first postseason ace to have a bad outing (Photo: Getty Images). The combination of Lee’s recent success and the Giants’ low scoring offense made last night’s outcome one of the more surprising developments of the postseason. By surrendering six earned runs in only 4 1/3 innings, the Rangers’ ace saw his October ERA jump “all the way” to 1.96 (his World Series ERA is now 4.79 in three starts). Lee was also tagged with his first postseason loss, denying him the opportunity to tie Orlando “El Duque” Hernandez as the only pitcher to begin his playoff career at 8-0. It remains to be seen how Lee will bounce back in his next start, assuming he gets the chance, but at the very least, the Giants’ outburst has dispelled some of his aura of invincibility. So, does Game 1 of the 2010 World Series remove Lee from the discussion of baseball’s greatest postseason pitchers? Not quite. Again, a lot will be determined by how Lee rebounds, both in this postseason and any future ones in which he may appear. After all, Lee isn’t the first postseason stud to suffer a blip in October. With rare exception, just about every dominant ace has come up lacking in at least one playoff start. Provided below are two lists. The first is a ranking of baseball’s best postseason starters, based on ERA (unadjusted). Included in the list are all starters with an ERA below 2.00 in at least 50 postseason innings. To account for those aces with more innings (and to avoid leaving several big names off the list), pitchers with an ERA below 3.00 in at least 100 postseason innings were also included. 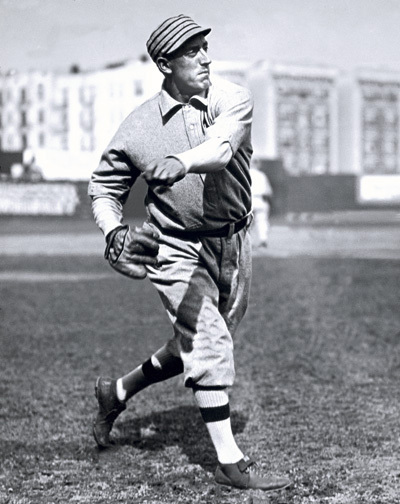 A's lefty Eddie Plank never had a bad day in October. His worst postseason start would have been the envy of most pitchers. The second chart provides a look at the “worst” postseason performance by each member of this group of October aces. For pitchers like Eddie Plank and Bob Gibson, “worst” is purely a relative term, but for most of the others, there is at least one black mark on their playoff resume. Although Cliff Lee’s game score of 28 in last night’s game is tied for the second worst performance by a postseason master, he remains in very elite company. To stay there, however, Lee will need to return to his October dominance. He has already used his mulligan, and those worthy of being considered as baseball’s best postseason pitcher rarely get another.